We are going to build a circuit that is connected to an app build with Blynk. For this we connect an Arduino to an ESP8266 module and connect it through Wifi. This example uses an Arduino Nano, of course you may use an other type of Arduino, eg. the Uno. This guide assumes you already have some basic knowledge of Arduino and electronics and already did the “Getting started with Blynk” tutorial. Take special care: for this type of breadboard power connector, never connect both wings to power sources! (USB power and a power adapter) You risk blowing up something, in the worst case your laptop! This example can initialize and test a new module. See comments in code for details. It is based on this example. At first you will have to reset the device, set its speed to 9600 baud and configure it as a Wifi Client (Station mode). You communicate with the module by sending it AT-commands through the Serial Monitor. The code contains instructions and examples how to do this. If it does not work, check out the “ESP8266 troubleshooting” section at the bottom of this article. 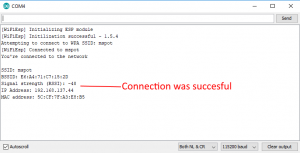 After you have configured the module as a Wifi client, it can connect to a Wifi network. Open this example in the Arduino IDE, change the password (variable ‘pass’) and if necessary the ssid, and run it. 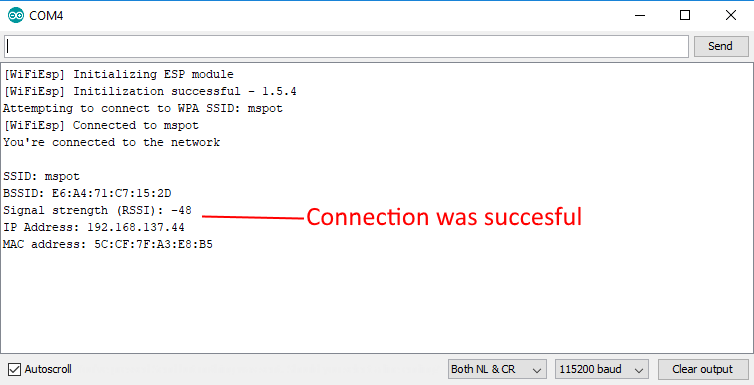 It should connect to the Wifi network “mspot” and print details about the connection in the Serial Monitor. 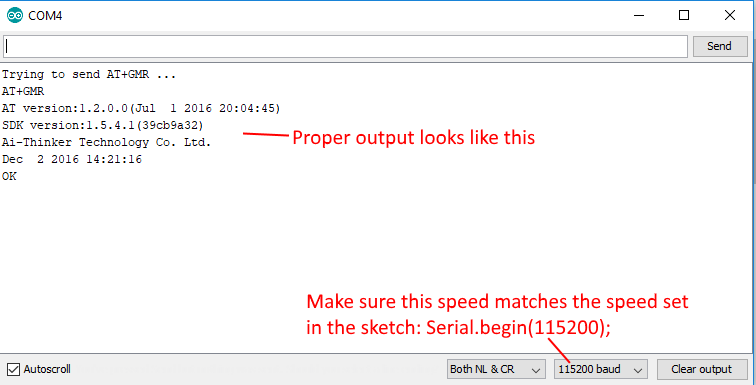 If it does not work, check out the “ESP8266 troubleshooting” section at the bottom of this article. 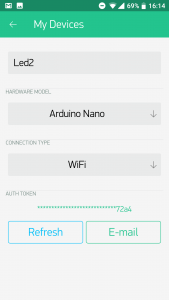 Unfortunately, the ESP8266 can not connect to the EDUROAM network we use at the university. That’s why I usually bring a Wireless Router to my workshops, which uses the SSID “mspot”. As an alternative you can turn your phone or laptop into a mobile hotspot. 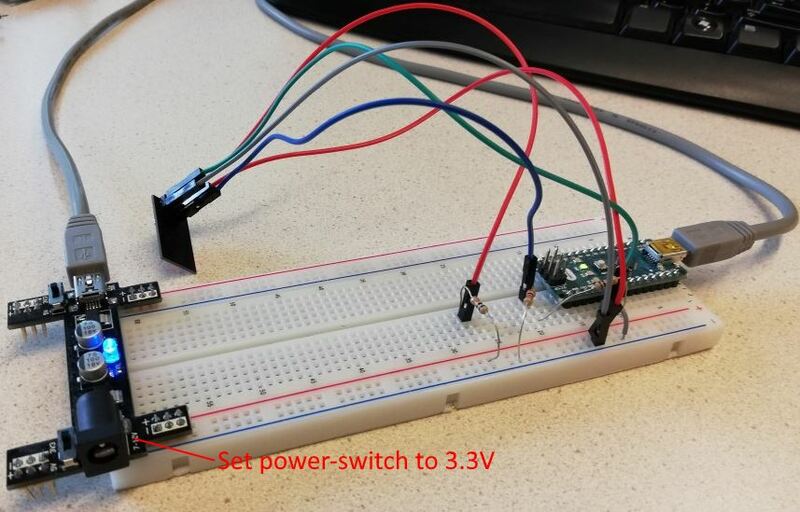 If you did the “Getting started with Blynk” tutorial first you still have a LED connected to your Arduino. If not, connect a LED. The auth variable should contain the Auth Token from the Blynk App (you can get it from the project settings in the app). 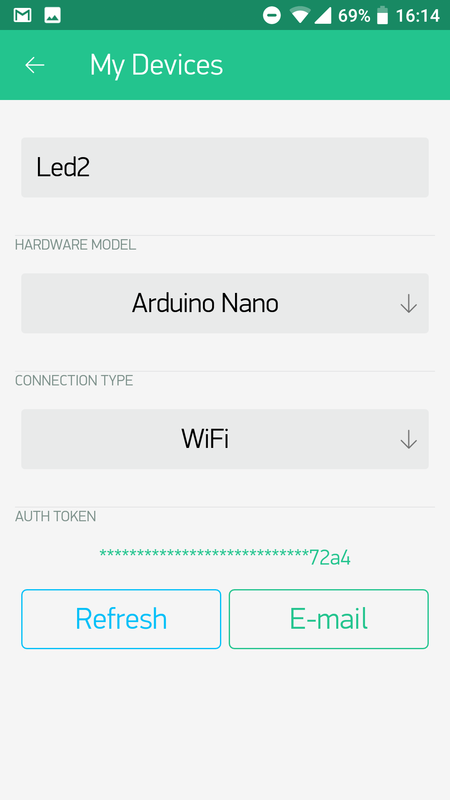 If you have the example from the “Getting started with Blynk” tutorial on your phone, you should now be able to control the LED from your phone. Add the RFID module (step-by-step guide here). 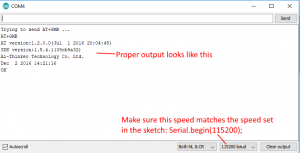 Add the necessary code to the Arduino Sketch. Test the App, it should display the ID if you scan a card. For more compact circuits, you can also use the Wifi module without an Arduino, like this project “ESP8266 Temperature / Humidity Webserver”. If the ESP module is unable to connect or appears unresponsive, double-check the wiring. Are all wires connected according to the schematic at the top of this article? connect the wire to the GND. After that, connect it for 2 seconds to the VCC (3.3V). Remove the wire and try again.